Roses: our large selection of imported long stem roses comes in many colors and sizes, we carry red,pink.white,yellow and purple premium quality roses that can be delivered to Vancouver, Burnaby, West Van, North Van, Delta, Coquitlam, Port Coquitlam, Ladner, Richmond, as well as VGH, UBC, YVR, SFU, GF Strong, the Easter Seals house, BC Cancer Agency, the Centre for Digital Media, Lululemon head office and Ronald McDonald house. Delivery of funeral and sympathy flowers to local funeral homes and Churches in Vancouver BC Canada: Kearney Funeral Services, Bell & Burnaby Funeral Chapel, Armstrong Funeral Chapel, First Memorial Funeral, Forest Lawn Funeral, Glenhaven Memorial Chapel, Hamilton Harron Funeral, Ocean View Funeral and Richmond Funeral Home. 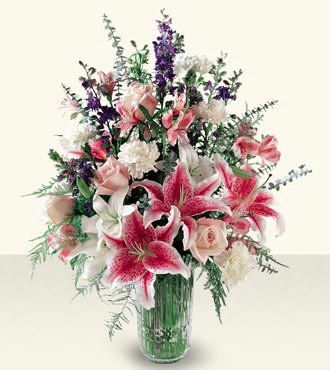 As your local florist in Vancouver Canada we deliver to all local hospitals: Vancouver General, St Paul’s, Mount Saint Joseph, BC Women’s, Children’s, Burnaby General, Richmond Hospital, Surrey Memorial, Lion’s Gate and Eagle Ridge. 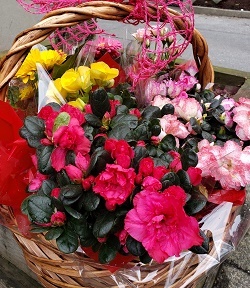 Flowers, gift baskets, get well arrangements, wine and cheese, chocolates, balloons and champagne gift baskets are always available for delivery within the city limits. Our shop deliver door to door in the Kerrisdale area. We can in most cases accommodate your specifications as well as having the delivery of your online or phone order done the right way. Flowers on 1st is located in Kitsilano near VGH and St Paul’s hospitals across from the Lululemon head office on Cornwall Ave, UBC Tapestry at Wesbrook Village. 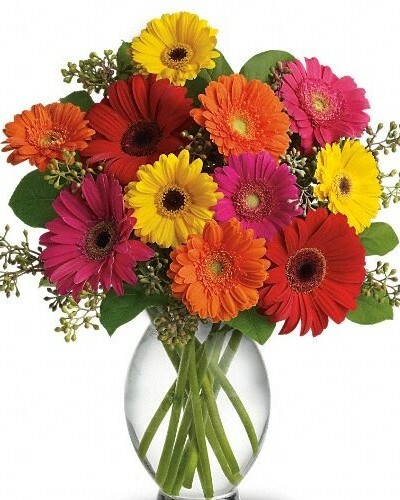 Flowers: Your Vancouver Kitsilano florist has a great selection of Alstroemeria, lilies, irises, daisies, Gerbera daisy, orchids, roses, birds of paradise, anthuriums, tulips, protea, aster, snaps, stock and many more. 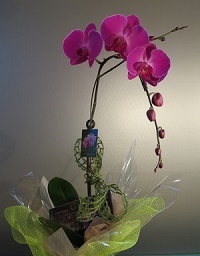 Our Kitsilano location offers long lasting flowers, red roses, Christmas flowers and orchids for any occasion. Vancouver florist specializes in floral deliveries to cruise ships at the Vancouver Ports at Canada Place. 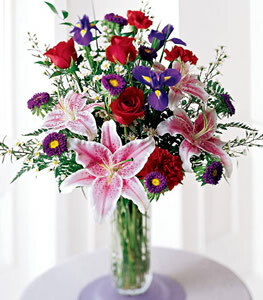 Flowers for funeral services, sympathy, get well and all other occasions. Potted Plants: orchids, mums, anthuriums, cyclamen, green tropical plants, azalea, garden planters etc. all locally grown from your Vancouver Florists. Gift Baskets: Gourmet wine and cheese, Belgian chocolate, fruit baskets, baby hampers and balloons bouquets. Our flower shop offers custom made only organic gift/gourmet baskets for local delivery within the downtown business core including all major hotels. Birthday Cakes: Did you know that as your Florist in Vancouver we also offer birthday cakes, chocolate cakes, cheese cakes, cupcakes and chocolate coated apples/strawberries. 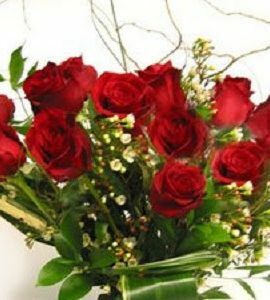 Roses in addition to a birthday cake would be a great gift for everyone! 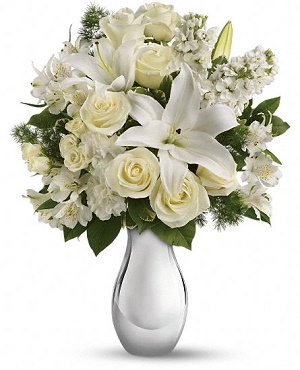 The delivery process is very easy and our flowers are always fresh and long lasting. Any cake order may require some advance notice, but we can in most cases have your cake order delivered usually on the same day. Chocolates: Belgian chocolate, hand made is always available for local delivery in the Vancouver Kitsilano and Kerrisdale areas. 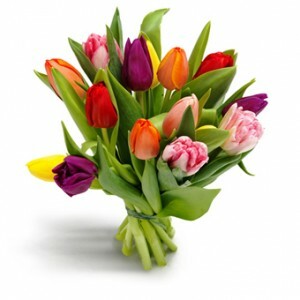 UBC Florist delivers Flowers, Candy and Birthday Cakes to YVR, SFU and UBC and all cruise ships every day of the week! Balloons: Mylar balloons bouquet for delivery around the city. 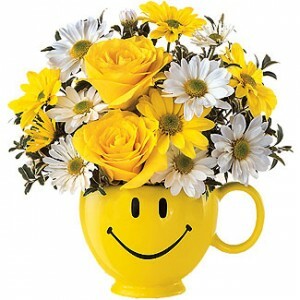 Flowers on 1st can accommodate special orders for all occasions. A great idea will be to combine balloons, chocolate and flowers! 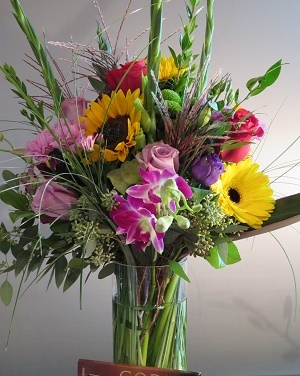 Our Get Well Flowers and balloon packages are always available for delivery in Kitsilano and all other areas in the lower mainland of British Columbia Canada. Your Local Florist in Vancouver BC! Located in Kitsilano near the downtown business core. All orders going to the University of British Columbia require a phone number of the recipient. All Floral Orders Receive Free Complimentary Swiss Chocolate! 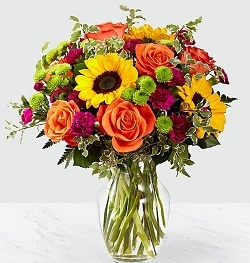 Orders placed with Vancouver Canada Florist over the phone and/or online using our website that include perishable items, especially food items, specific color flowers/roses etc. cannot be cancelled after the order has been placed and may require in most cases at least 3 days advance notice. All cancelled orders may require our written approval otherwise we will apply some minimum charges to recover our direct out of pocket costs involved in pre-ordering such items.